I wanted to keep the design simple and the supplies minimal because I was expecting at least a couple of people who have not stamped before and I was hoping they’d like this and maybe want to get involved. I then made two “stepped up” versions of the card, progressively using more “complex” products, including embellishments, additional inks and the Big Shot! Each card represented a bigger investment in craft kit, basically! 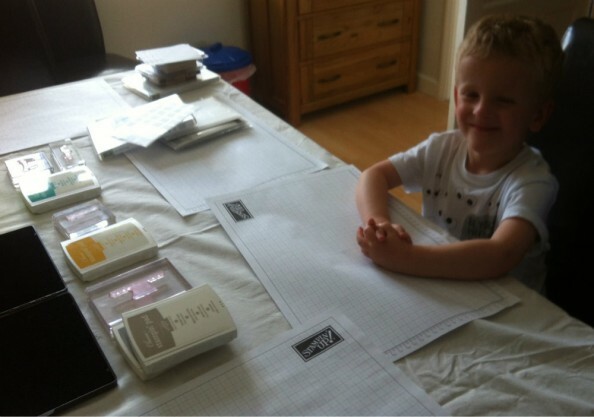 Unfortunately the new stampers I was hoping for didn’t make it, and other than my little family, we only had four people come along – and only 3 of those made cards! Which was a shame. But those that came had a good time, and were pleased with their creations. I also have a friend coming over tonight who will be having a go, and another couple of friends who couldn’t make the weekend but who want to get together soon. I know I am biased, but doesn’t he look so cute?! If you like the look of this card, and want to make one yourself – or buy the “ingredients” to make lots! – then don’t hesitate to call or email me and we will get you set up with it. I’d love to share these products with you. They are such good quality and give a brilliant result every time. Even self-proclaimed “non-crafters” have got great results, and have really surprised themselves! So go on, get involved! 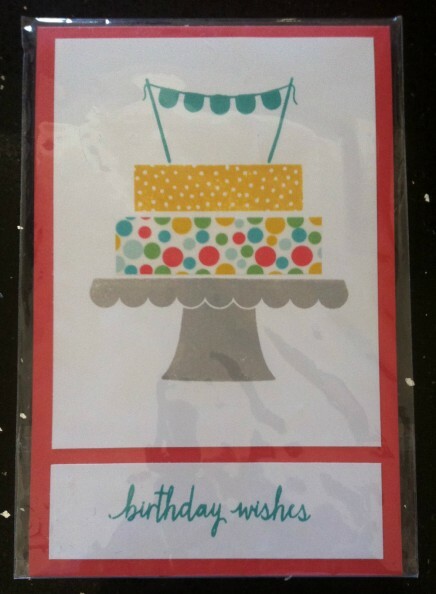 Stamp Set: Build a Birthday. Colours: Bermuda Bay, Crumb Cake, Crushed Curry, Cucumber Crush, Pool Party, Smoky Slate, Watermelon Wonder, Whisper White. Accessories: Snail Adhesive Tape Runner, Washi Tape.